Dutch newspaper and the n-word: Editor on decision to headline Ta-Nehisi Coates book review with a slur. 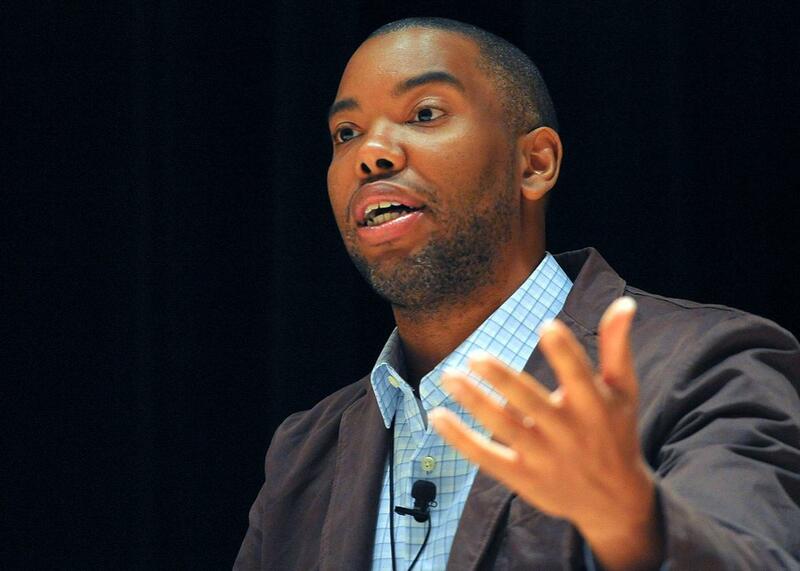 Ta-Nehisi Coates, whose book was reviewed by Dutch newspaper NRC Handelsblad. The drawings are a literal illustrations of ‘stereotype’ and ‘white’ aggression, the above mentioned books are dealing with. They are ugly, unkind, and offensive—and they are meant to be, because they cover the content of the reviewed books. Of course, they were not intended to offend. Actually, it is rather stupid to think so. When choosing the headline, we aimed at the intended audience of the piece: Dutch readers of the book section (black, white, but: Dutch readers). Because ‘N—’ is an English word, the offensive value in Dutch is not as direct as it is in English, comparable with the effect of less racially sensitive swear words. We realized the word is offensive, but in the headline it was meant to focus on the pessimistic message of Paul Beatty’s book when he gave the line to his fictional Clarence Thomas. Krielaars also explained the stereotypical blackface portraits are an intentionally “cynical” depiction of the racial situation in America—not a racist gesture in and of themselves. In his remarks to the Post, Krielaars seemed well aware of the powerful emotional weight the N-word carries in English, but he still chose to splash it across his paper’s book review package about race in America. His response to the backlash—calling non-Dutch readers “stupid” for taking offense—will probably not help his paper’s cause. Also, one very important lesson to be learned here: Use quotation marks when quoting from a book.